Explore the influence of traditions and the natural environment on Nordic creativity, exhibited at the Nordic House in Reykjavík. March 19 to July 3, 2016. The exhibition is created by artist duo Sarah Cooper and Nina Gorfer, and it features both poetic photographs and installations created in close collaboration with twelve artists and designers from Iceland, Greenland and the Faroe Islands. Over the course of two years, Sarah Cooper and Nina Gorfer visited the Faroe Islands, Greenland, and Iceland to explore the influence of traditions and the natural environment on local artists and fashion designers. As opposed to traditional anthropologists, who use their cameras to capture communities and their culture in a scientific manner, Cooper & Gorfer transform their observations into poetic stories told through images. 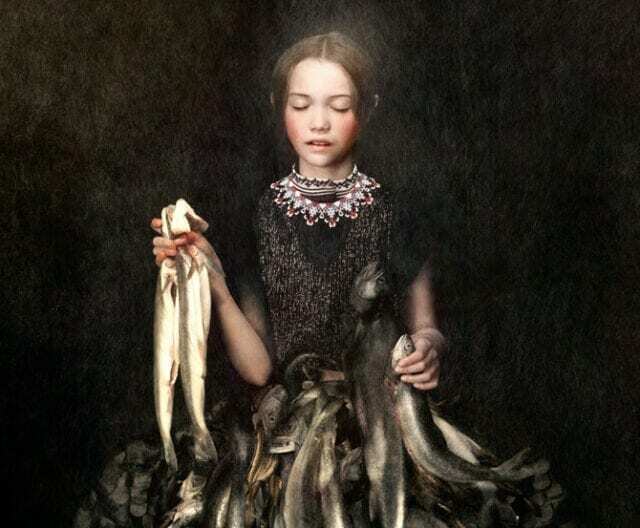 They turn their impressions into staged photographs, adding layers of color, textures and symbolism. The exhibition was commissioned and produced by the Nordic House in Reykjavík and financed by the Nordic Council of Ministers. 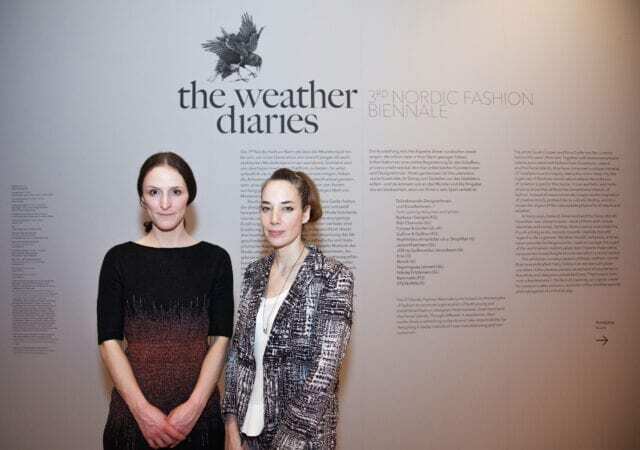 The Weather Diaries had its premiere at Museum Angewandte Kunst in Frankfurt in 2014 as the center piece of the 3rd Nordic Fashion Biennale. They have since been exhibited at the National Museum of Photography (Denmark), Nordic House (Faroe Islands), CODA Museum (The Netherlands) and now for the first time at the Nordic House in Reykjavik. In 2016 the exhibition will open at the Nordic Heritage Museum in Seattle and Danish Cultural Center in the art district 798 in Beijing. The Weather Diaries have been warmly received by European museum visitors and reviewers. For example, one of Denmark‘s largest newspapers, Politiken, gave the exhibition 5 out of 6 available stars with the art critic´s comment: „one of the most beautiful exhibitions I have seen“.